Old Parkland Hospital was founded in 1894, at a time when Dallas was young and their full potential had yet to be understood. In the ensuing decades, Dallas began to grow not only in population, but in influence. 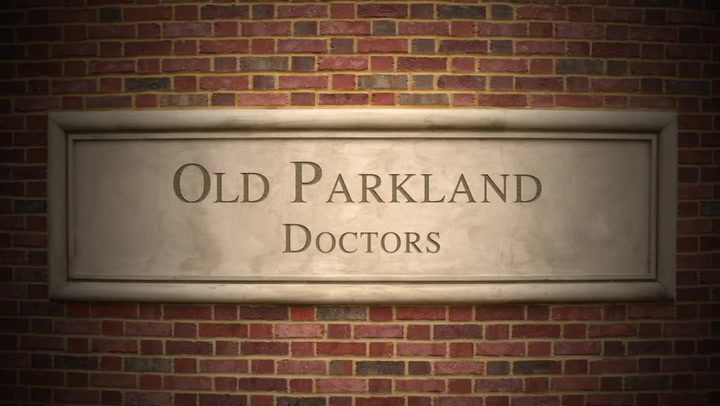 Originally a teaching hospital, Old Parkland always had a unique connection with those who worked inside. The passion, dedication, and determination of these people still echo in the walls of the buildings, inspiring those who now walk their halls. The Old Parkland Campus is more than just a space. It is a living, breathing community. Beyond the individual trees and buildings, tenants and staff, that gives the campus its unique atmosphere is the way that these elements intermingle, how they occupy their physical space and contribute to a greater whole. In 2008, prior to relocation of Crow Holdings headquarters, a reception was held for many of the doctors, nurses and nursing students who lived and worked at Old Parkland Hospital. Tours were conducted so those in attendance were first to see its renovation. That day, and for over a year, video oral history sessions were conducted to preserve the memories and perspective of those who lived and worked there.